Devínska Kobyla is one of the warmest places in Slovakia. 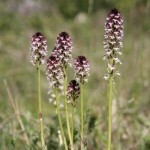 Limestone subbase and southwestern orientation of its slopes makes the plants flower here very early in spring. 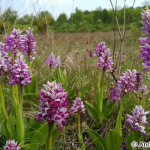 During this walk we will focus on several species of orchids thriving at this site. 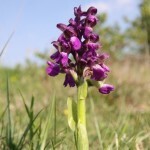 19 species of orchids were recorded at Devínska Kobyla. 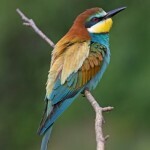 We will look also for one of the most colorful Slovak birds European Bee-eater (Merops apiaster), which nests at this site as well. You can come by car or by bus #20, 21 or 29, bus stop Hradištná or Pri Sandbergu. If you are interested in this walk, please send an e-mail to info@watching.sk, no later than 24 hours before the event. In the case of a later registration, only in combination by call and e-mail. By e-mail send us your name and surname, address, phone contact, how many people will take a part (and in which age cathegory: under 12 / adult). We will send you a response no later than the next business day. Registration is mandatory. In case of bad weather we will keep you posted about the possible cancellation of the observation both on our website and our Facebook page, and also by e-mail and sms, in the evening before the observation. The observation is automatically cancelled in case the Slovak hydrometeorological institute issues a warning for that day. You can read a report from our previous walk to this area here.